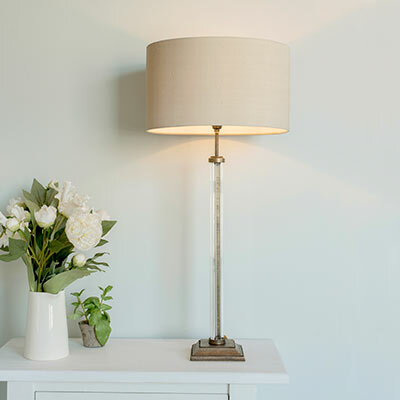 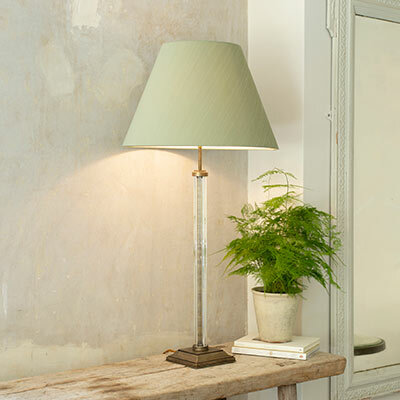 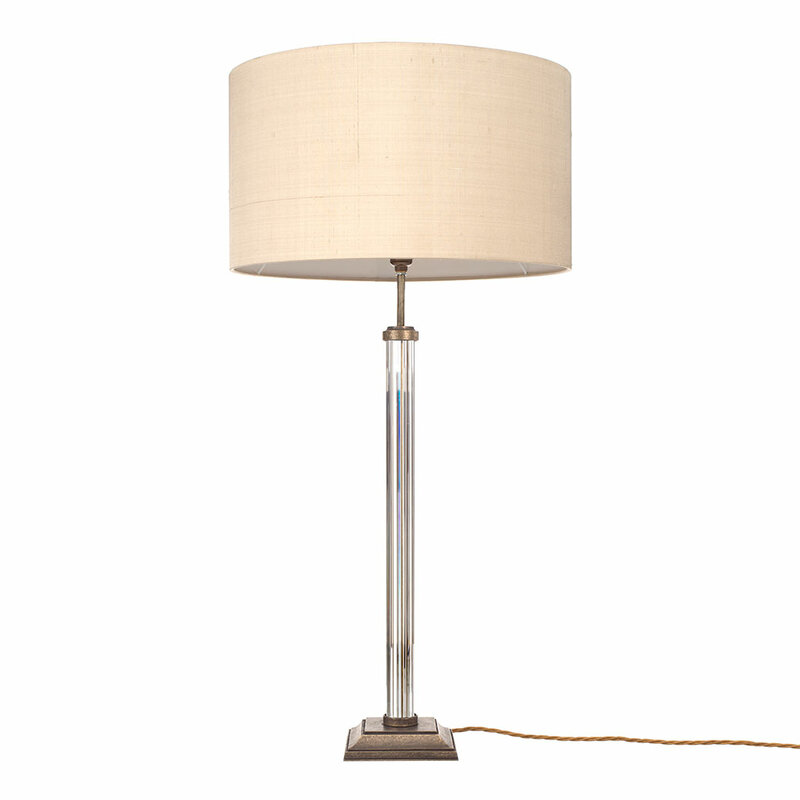 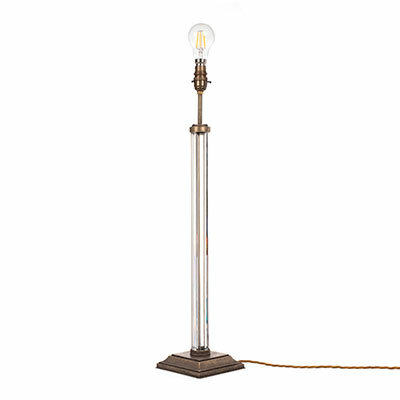 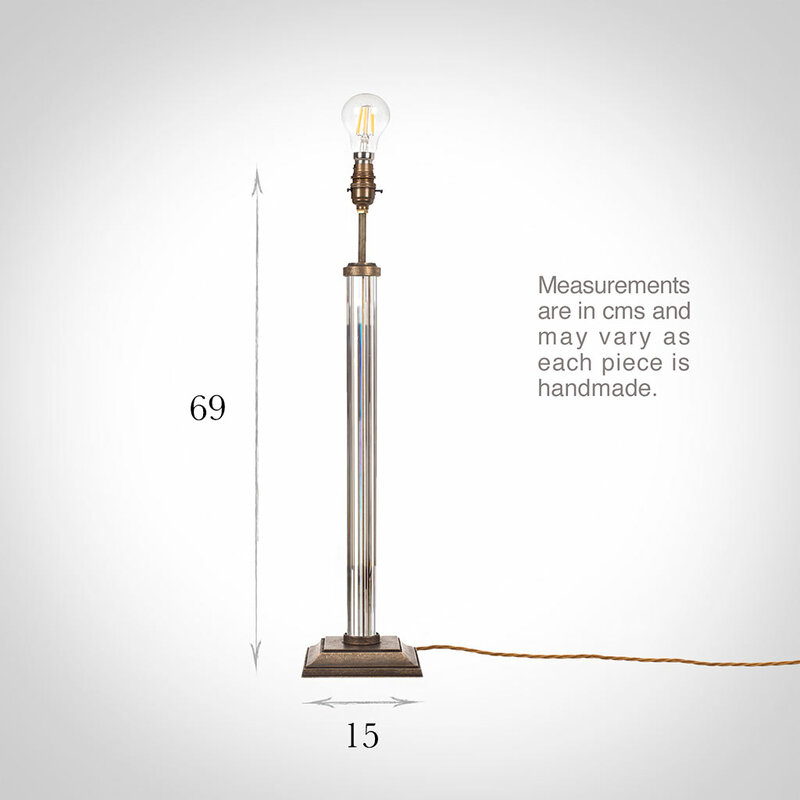 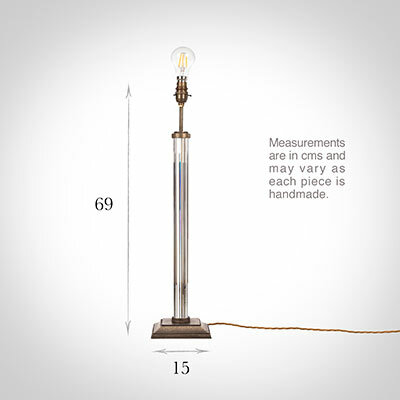 A striking brass table lamp with square base. 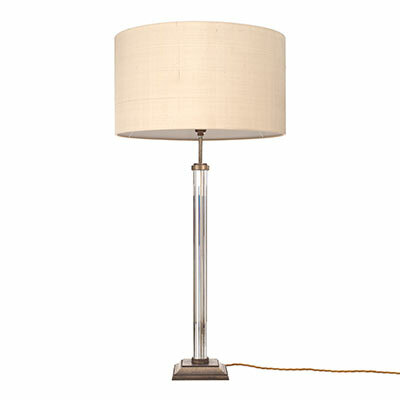 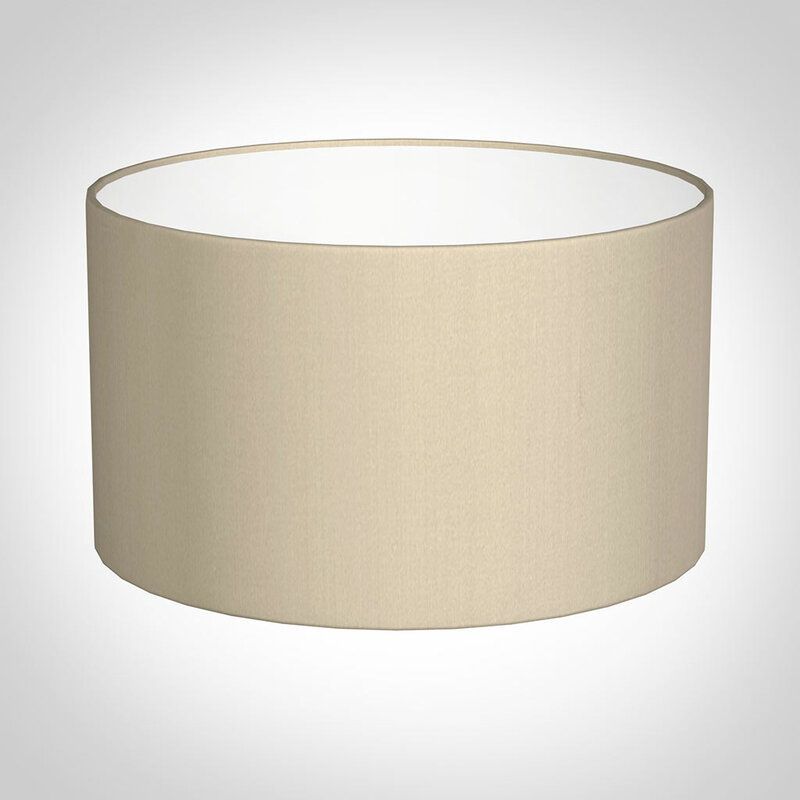 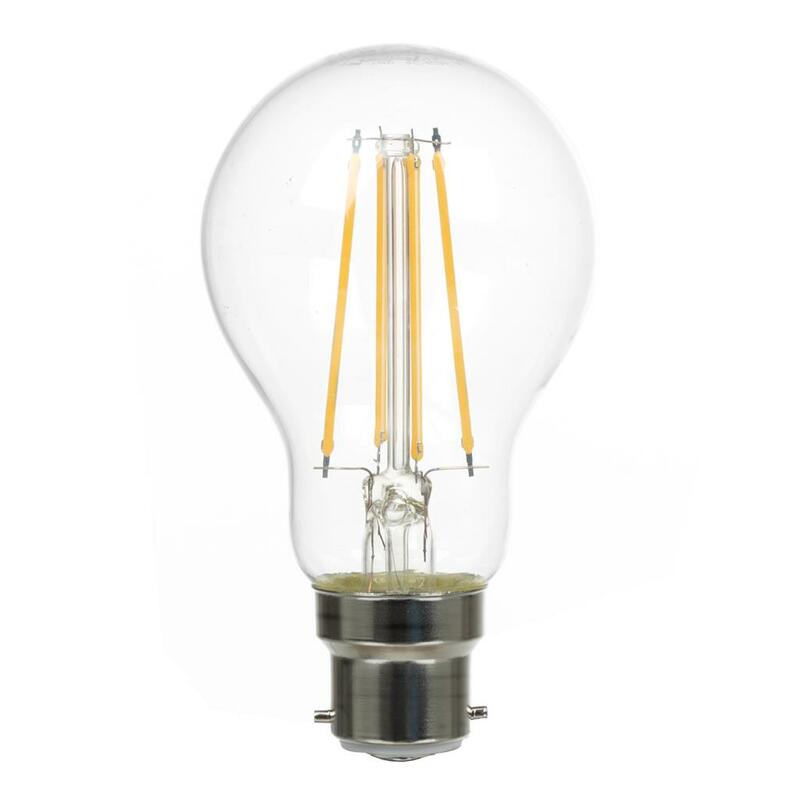 This light has a thin, slick stem surrounded by ridged glass which creates a beautiful texture and reflects the light. The Chiswick is handmade in solid brass that has been lightly antiqued.